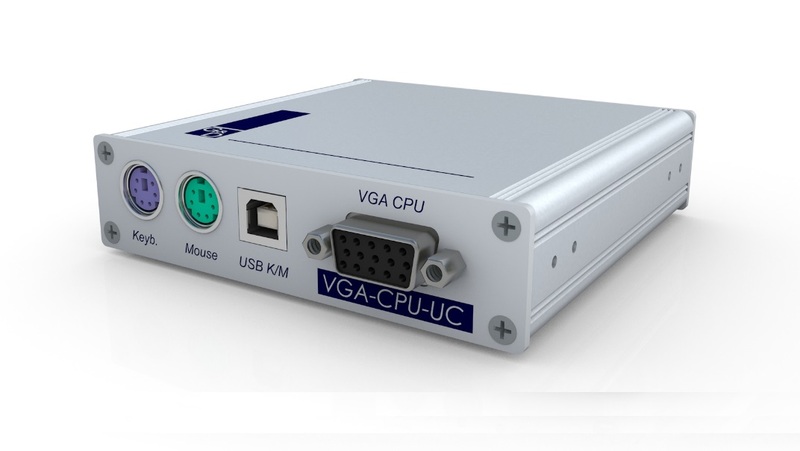 The G&D VGA-U-CPU-UC computer module; connects a VGA computer to the matrix. 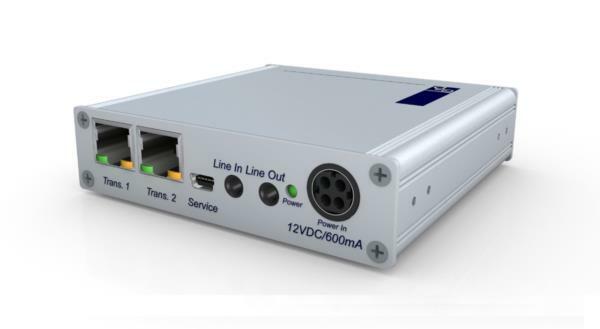 The VGA-CPU combines keyboard, video, mouse, USB1.1 and audio signals and uses CAT cables to link them to the central module. "UC" module you can connect one computer to two different matrix switches (clusters). The "U" variant it is possible to transmit transparent USB without any additional devices.